Now that ‘Dry January’ is out of the way we have asked Dean at www.bubblentwist.com to put together a guest blog on Rum cocktails. If you are having an event in Surrey and need a bar service we would highly recommend this company. BIG thank you to Richard and the team at Crystal Marque Hire for letting me do a Blog for you all. 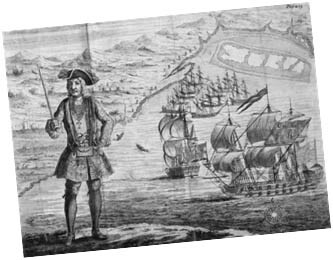 Gin fever is “cured”, the new epidemic is from the pirates. I am a true believer that Rum time is coming. Don’t get me wrong I love ye olde gin and tonic (nothing beats the Gin from local #gingod Simon @ Distillers of Surrey! ), but rum is a different story. This bad boy spirit with its origins from the 17th century is worth the wait (gin is a quick turnaround but rum gets better with age!). There is nothing wrong with the white rum, but you really can’t beat the amber, dark and spiced rums that are available. Aged in barrels, the darker rums have more aarrrhhh! But the spiced Rums have a sweet/spicy edge that Jack Sparrow loves. 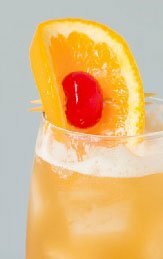 So I have put together a list of a few quick and easy rum cocktails that you can create at home or have at your party (wink, wink). This ‘Twist’ on the classic dark and stormy will get heads turning looking at the wicked layers and people “dancing” with the shot of chilled espresso. In a tall glass add Tequila and Rum with ice, stir to chill, add ginger beer and then slowly pour the espresso over the back of the spoon into the glass. Another ‘Twist’ on the simply sophisticated classic, this time using my own Thai Spiced Twisted Syrup. This one will get people talking! Add all wet ingredients to a shaker add ice, shake it up, strain into cocktail glass (rimmed with salt) and garnish with lime. Add the Rum and juices to a shaker with ice, shake it up, strain into hi ball filled with crushed ice, drizzle grenadine and watch it float down. Add bitters and garnish with cherries, orange slice and a little grating of nutmeg! Until next time mee hearties. Dean from BnT Alchemy Services. The local drink and bar solution for your event.